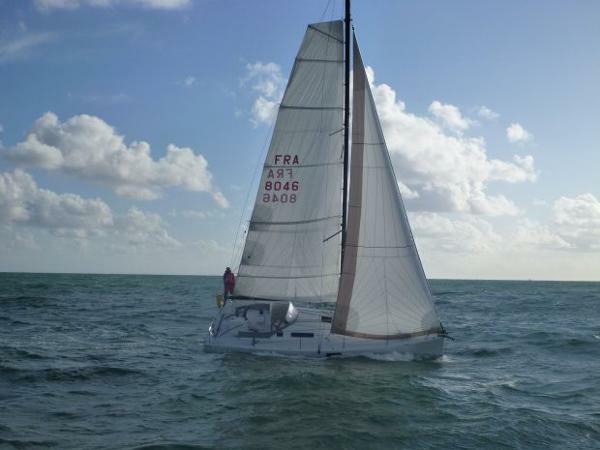 The Pogo 12.50 is a superfast french build Open 40 but in comfortable cruising version. 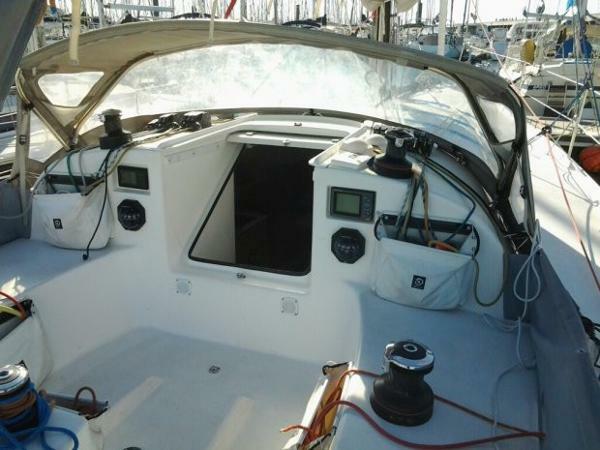 Speeds 20kn+, superlight, composite hull, carbon fibre rigging and a simple deck layout. 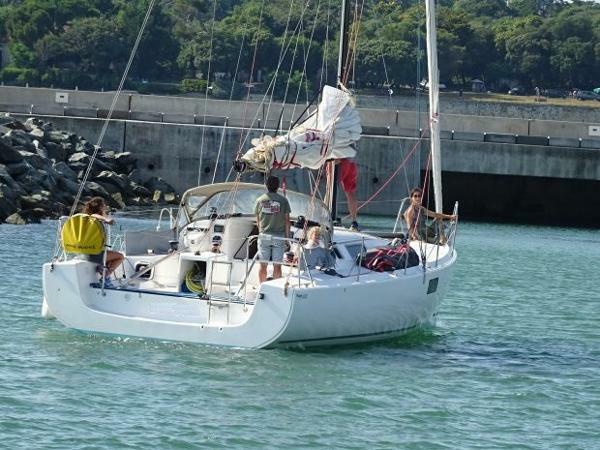 But also a lot of extras, which makes family sailing fun and safe: buoancy/unsinkable, lifting keel (1,2 -.3,0 m)Watermaker, Heating, Galley, spacious double berths and bathroom incl. shower.The boat was launched in 2012 and used for short time holiday sailing by the first owner, 2014 it crossed the Atlantik, 2015 a cargo ship brought her back to the Mediteranian, where she gets additional sporty equipment, such as 2 Harken winches in the back, running back stays, 3D Mainsail + Genoa, A2 Spi and Code Zero in Carbon (Quantum), Tiller in Carbon. in March 2016 we bought the boat and did an technical refit as well as additional equipment: 3G Radar, Watermaker, Watt&Sea-Generator and a new Dinghi and Honda Outboard engine. After cruising in the Med, we crossed the Atlantic to Brazil, further to Carribean and after a Maintenance stop in Trinidad we sailed via Panama to French Polynesia, where we are cruising since the arrival in June 2018. Only the Hydranet Cruising Sails have been used, so the complete set of race sails is like new! It's a great boat for long distance cruising as well as competing in races. Easy to sail with short crew or even single handed. The boat was never chartered and in the last 3 years we used it to live our dream and sail from Europe to the South Pacific.